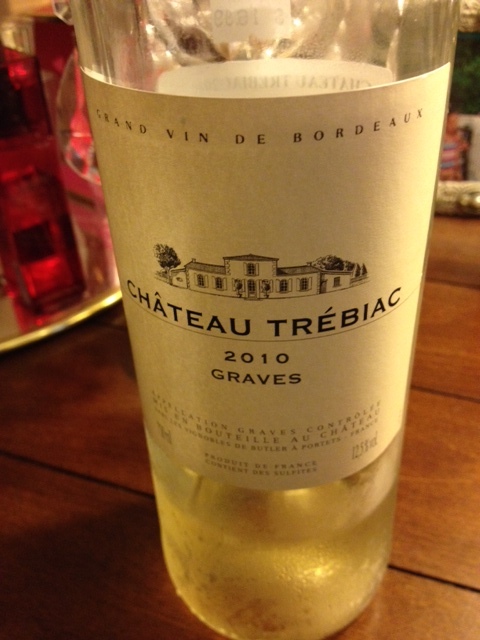 The first taste of Chateau Trebiac was not impressive. My displeasure was chalked up to the wine was too chilled, I haven’t decompressed from the workday or the wine is just mediocre. Due the mediocrity, I decided the wine is not worth the energy to write about; but it was okay for a twitter mention:). Approximately thirty minutes past, the chill is gone and the wine temperature is slightly below room temperature. I take my fourth sip and the citrus flavors are more pungent and it reminds me of a Sauvignon Blanc. But this is a “white Bordeaux” (shoulder shrug). I admire the color, rich and golden like a Sauvignon Blanc. Sniff- tropical aromas, sip – this is delicious! Grassy, citrusy, and slight mineral flavors. Another sip, swirling the wine, I’m picking up a slight fruit and toasty flavors on the back of my palate. Could it be the omelet with a dash of hot sauce that has brought out these fruity-toasty flavors? This is a complex wine. I checked the back of the label and WA-LA! It’s 85% Semillon and 15% Sauvignon Blanc, HA! We all know about Sauvignon Blanc, but, Semillon? Semillon’s origin is unknown. However, it is grown in Australia, South Africa and France. Semillon is one of three major white wine varieties approved in the Bordeaux region; the other two are Sauvignon Blanc and Muscadelle. 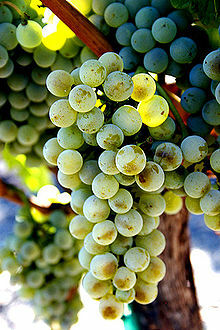 Semillon is utilized to produce Bordeaux Blanc (dry white wine) and sweet French wines. Chateau Trebiac was recommended to the Professional and me during one of our wine excursions to Bacchus Wine Cellar, Georgetown, DC. The salesman’s customer service skills sucked. It was more important to him to converse with his friends than assist us in our wine purchases. Yes he sucked, but he did recommend, after being asked, a delicious wine that is easy to sip on :).